“It takes two to make a thing go right. It takes two to make it outta sight.” Hello world! 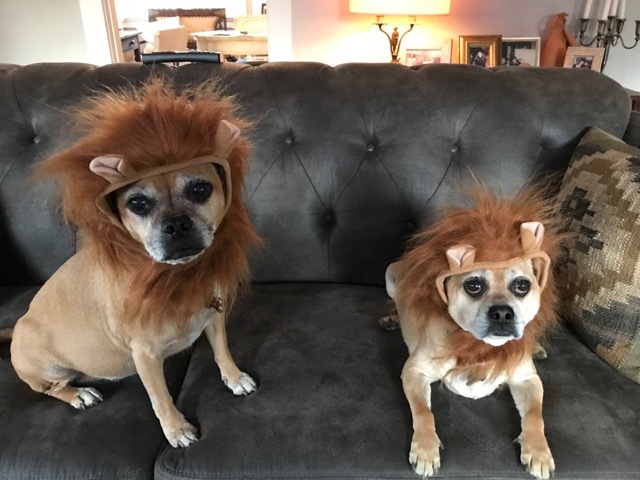 Aren’t we the two cutest 8 year old Puggles you have ever seen?! I know it’s a bit hard to tell us apart physically, but our personalities help distinguish between the two as we are a bit different, though very bonded with each other. I am Olive and I am the one on the right in the first picture above. I am the more independent gal who likes to sit on the couch and watch the world go by. I am really into playing with my doggie pals that I meet here at Pixie and am a very go with the flow pooch. My sister is Bailey, and though she isn’t my blood sister, we are siblings at heart! She came to live with me after her owner passed away and we have been together now for about 5 years. She LOVES being around her people. I do too of course, but she likes to bond with the people in a different way and would definitely be a lap doggy if she could. We both are very food motivated which helps with our training. We are both watching our weight, and really enjoy our veggie treats. Carrots are our absolute favorite! We enjoy our daily exercise as well and love to walk around the neighborhood together. We are social and do get along with other dogs, cats, and kids over 12. 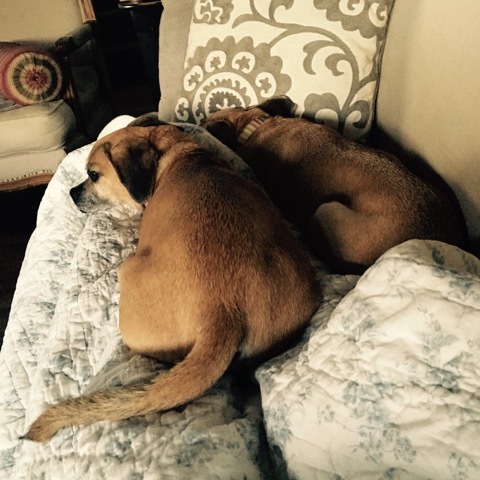 After a long day of activity and sunbathing, we are ready to snuggle the night away on the couch with you. 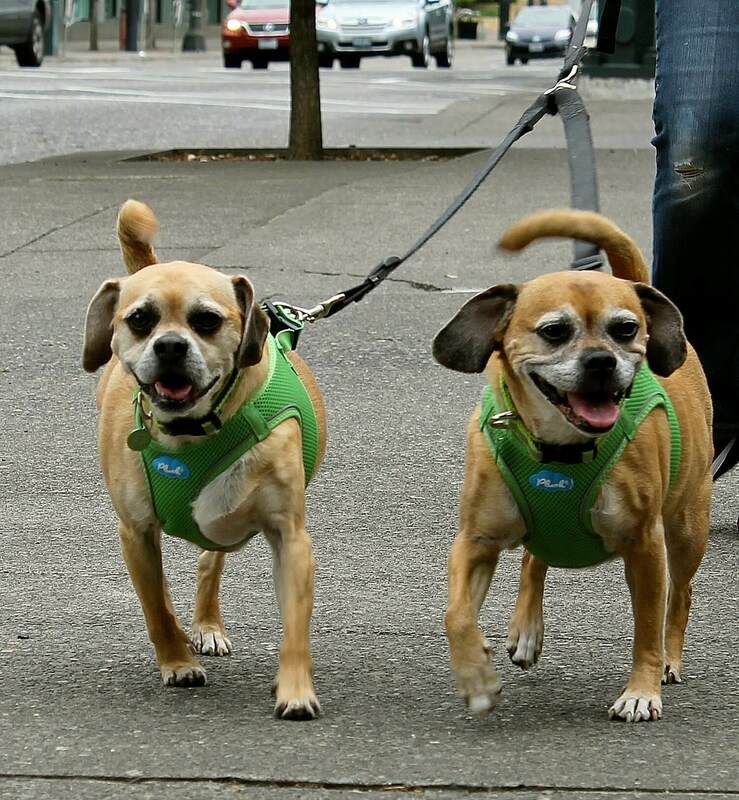 Available for foster or adoption, these two puggles are the dynamic duo you have been waiting for. Fill out an application today, so we can meet! 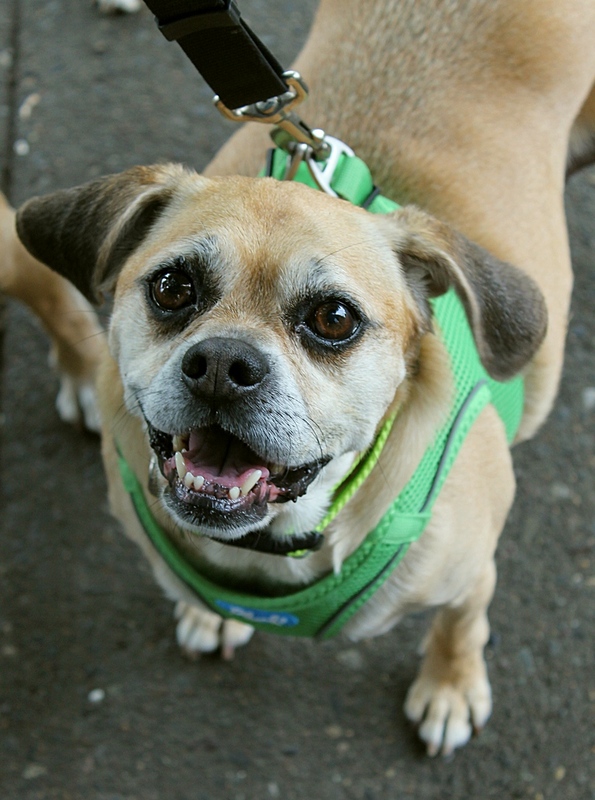 We come to you vaccinated, micro-chipped, and spayed with an up to date dental and an adoption fee of $400.